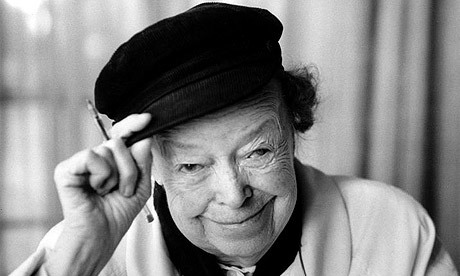 Joan Maud Littlewood (6 October 1914 – 20 September 2002) was an English theatre director, best known for her work in developing the left-wing Theatre Workshop. She has been called "The Mother of Modern Theatre". Littlewood was born at Stockwell, London, and trained as an actress at RADA, but left after an unhappy start and moved to Manchester in 1934, where she met folksinger Jimmie Miller, who would later become known as Ewan MacColl. After joining his troupe, Theatre of Action, Littlewood and Miller were soon married. After a brief move to London, they returned to Manchester and set up the Theatre Union in 1936. In 1941, Littlewood was banned from broadcasting on the BBC. The ban was lifted two years later, when MI5 said she had broken off her association with the Communist Party. She was under surveillance by MI5 from 1939 until the 1950s. In 1953, after an attempt to establish a permanent base in Glasgow, Theatre Workshop took up residence at the Theatre Royal in Stratford, east London, where it gained an international reputation, performing plays across Europe and in the Soviet Union. One of Littlewood's most famous productions was the British première of Bertolt Brecht's Mother Courage and Her Children (1955), which she directed and also played the lead role. Her production of Fings Ain't Wot They Used T'Be, a musical about the London underworld, became a hit and ran from 1959 to 1962, transferring to the West End. The works for which she is now best remembered are probably Shelagh Delaney's A Taste of Honey (1958), which gained critical acclaim, and the satirical musical Oh, What a Lovely War! (1965), her stage adaptation of a work for radio by Charles Chilton. Both were subsequently made into films. Theatre Workshop also championed the work of Irish playwright Brendan Behan, and Littlewood is often rumoured to have a significant role in his work. After Raffles's death in 1975, Littlewood left Theatre Workshop and stopped directing. After a time of drifting she settled in France and became the companion of Baron Philippe de Rothschild, the vintner and poet, and wrote his memoirs, Milady Vine. In the mid-1980s, she commenced work on her 1994 autobiography, Joan's Book. Littlewood died, in 2002, of natural causes at the age of 87 in the London flat of MaColl Rankin. 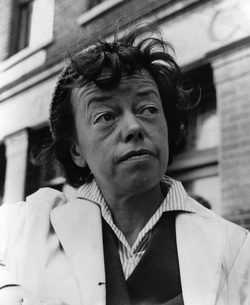 Joan Littlewood, the theatrical director who has died aged 87, led an extraordinary revolution in British theatre in the 1950s.